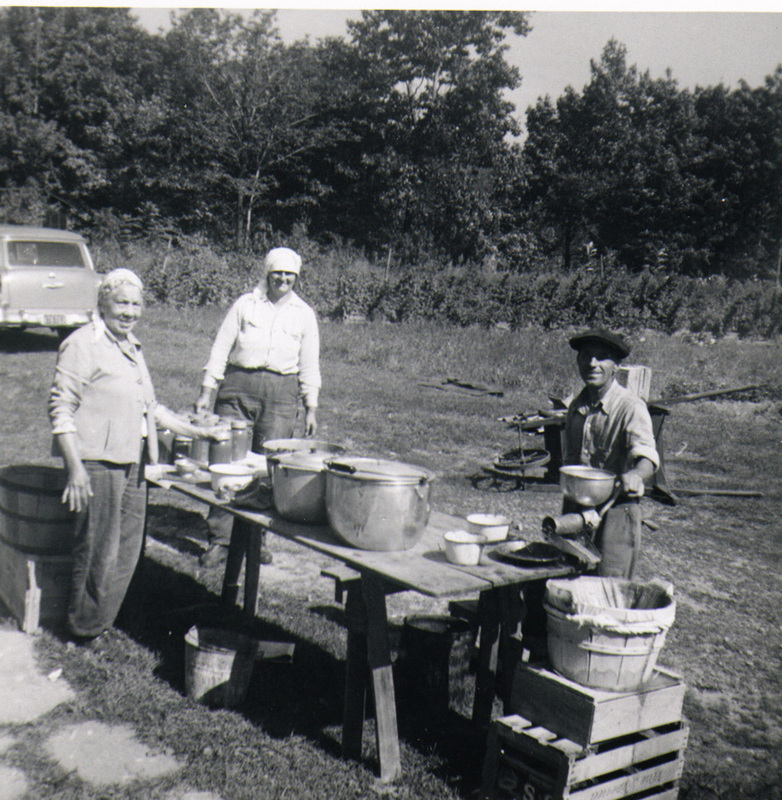 Mrs. Gallo, Lena Scalise, and Angelo Borelli process food to store for the winter, 1958. Courtesy of Elissa Scalise Powell. Families emigrating from rural towns were accustomed to growing their own crops and modifying those fresh foods to keep for a period of months. Often each generation of the family helped with food production in some way or another, and homemade wine was no exception. 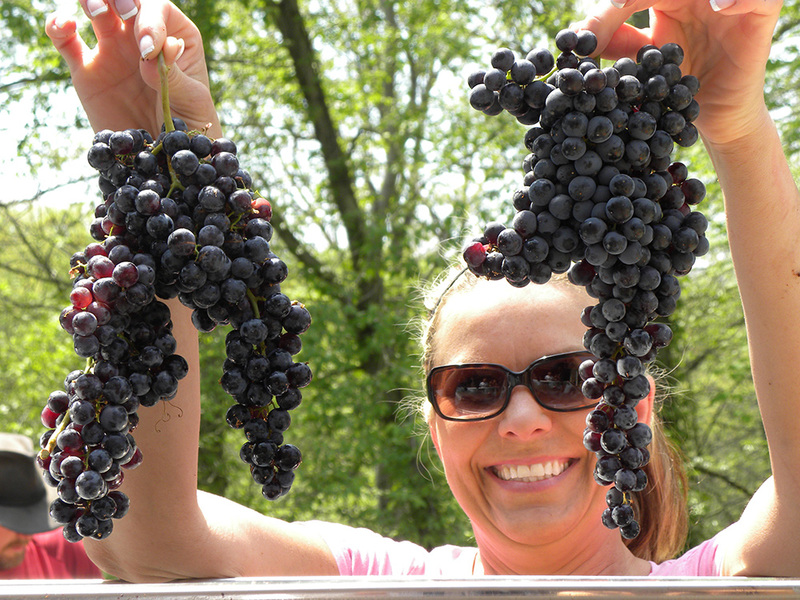 Winemaking is a community affair from its creation to its enjoyment. Here at the History Center, we conduct many oral history interviews with individuals from Western Pennsylvania to preserve the Italian American experience, and winemaking is a topic frequently discussed. Nearly everyone I speak with has a story about wine: loading and unloading boxes of grapes from a vehicle; crushing grapes in the cellar with nonno; betting glasses of wine on a Bocce game. It’s a tradition recalled with fondness, and many families continue to pass down their techniques to the next generation. 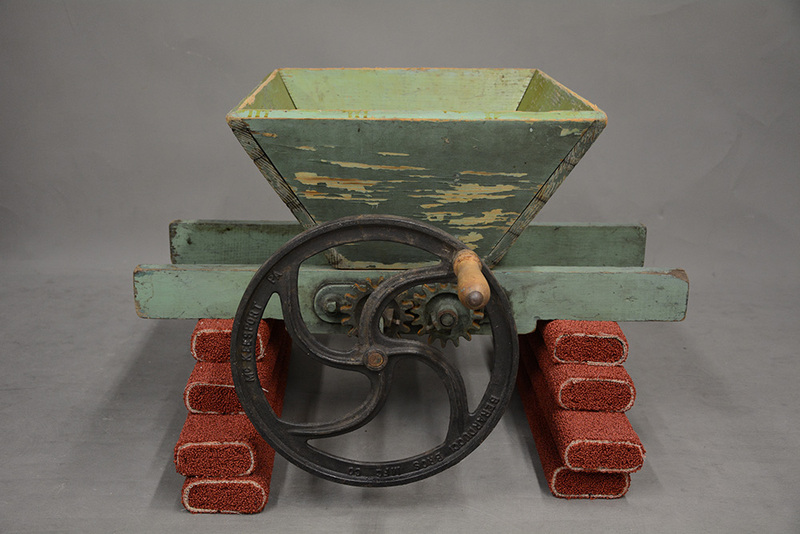 In fact, home winemaking was so prevalent in our region, a local company in McKeesport called Berarducci Bros. produced and sold devices for making wine such as fruit crushers and wine presses (if you visit American Spirits: The Rise and Fall of Prohibition, you will find a Berarducci Bros. wine press on display from the Italian American Collection, as well as a few custom wine bottles from local families). Today, home winemakers can get their grapes and winemaking equipment at CFP Winemakers in the Strip District, mere yards away from where Italian immigrants once picked up their grapes. In the Northern Hemisphere, wine grapes are harvested when they ripen in late August and September. 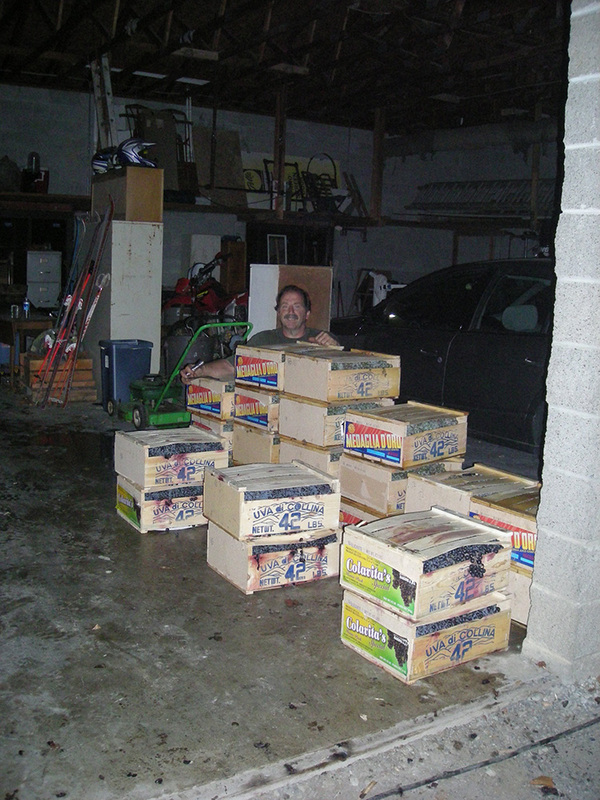 In October, they ship from Northern California to the eastern part of the United States. The Produce Terminal in the Strip District was the point of arrival for grapes in Pittsburgh, as it was for all wholesale produce, and Italian immigrants would travel from all over Western Pennsylvania to bargain over boxes of grapes. 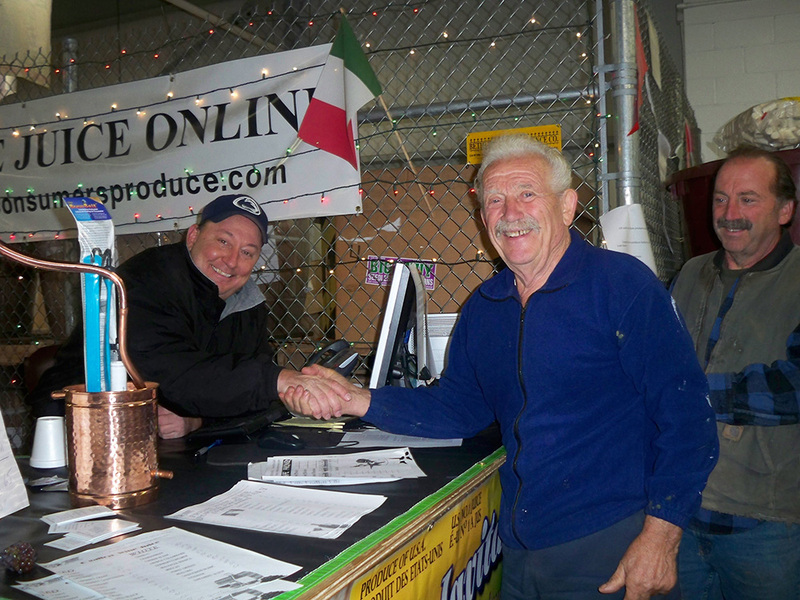 Ron Casertano and John Mancini shake hands on a grape deal at CFP Winemakers, c. 2016. Courtesy of the Mancini family. Back in the days of Prohibition, zinfandel was the most common variety of grape used to make wine at home; today, many varieties are available to the home winemaker. Courtesy of the Dastolfo family. Crushed grapes waiting to be pressed into juice. Courtesy of the Mancini family. 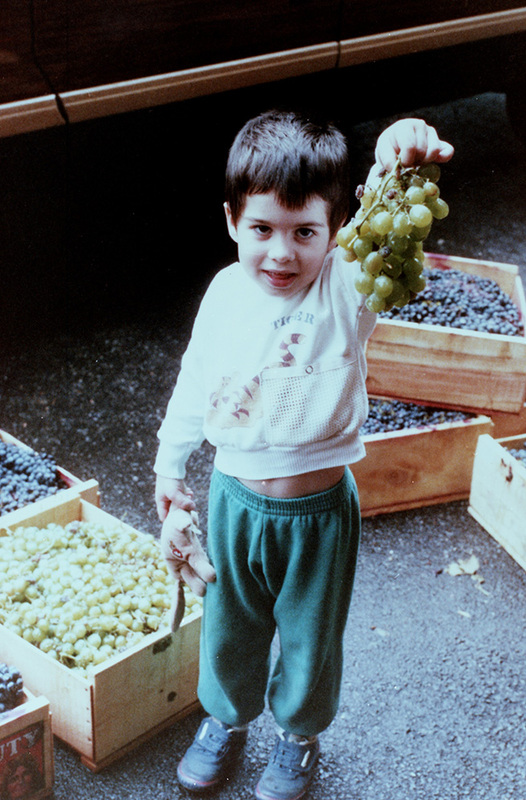 Third-generation winemaker Per Argentine shows off grapes, 1985. Gift of Peter Argentine, 1995.0380, Detre Library & Archives at the History Center. 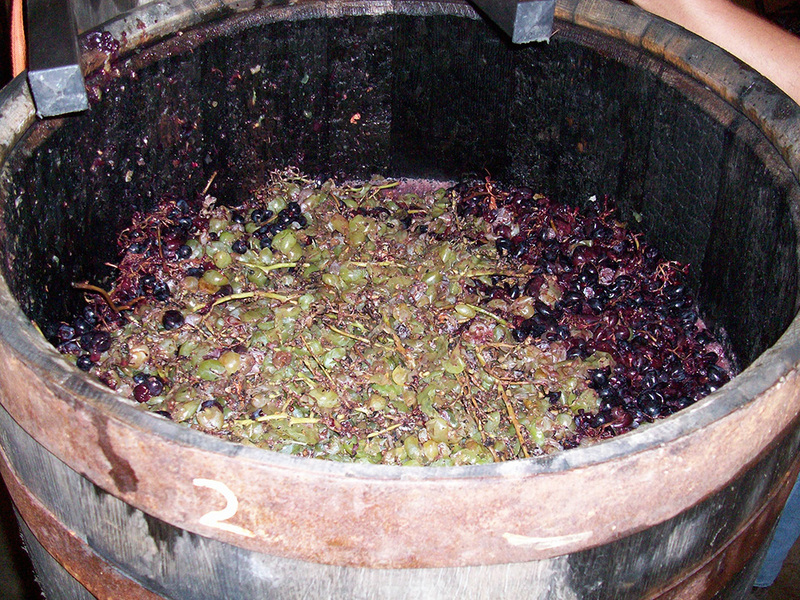 It takes 85 to 90 pounds of grapes to make five gallons of wine; some families brew up to 200 gallons each year. Courtesy of the Mancini family. 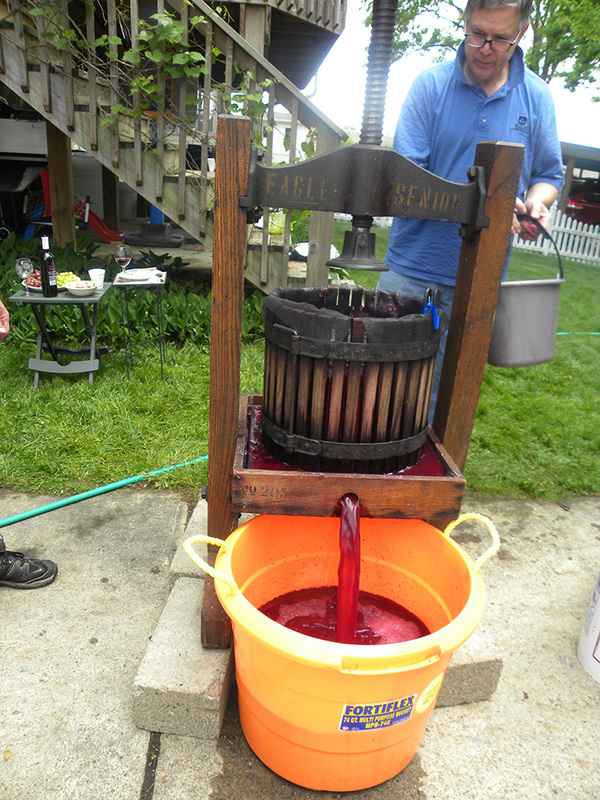 There are families that still use the same presses that their parents and grandparents used to make wine. Courtesy of the Dastolfo family. 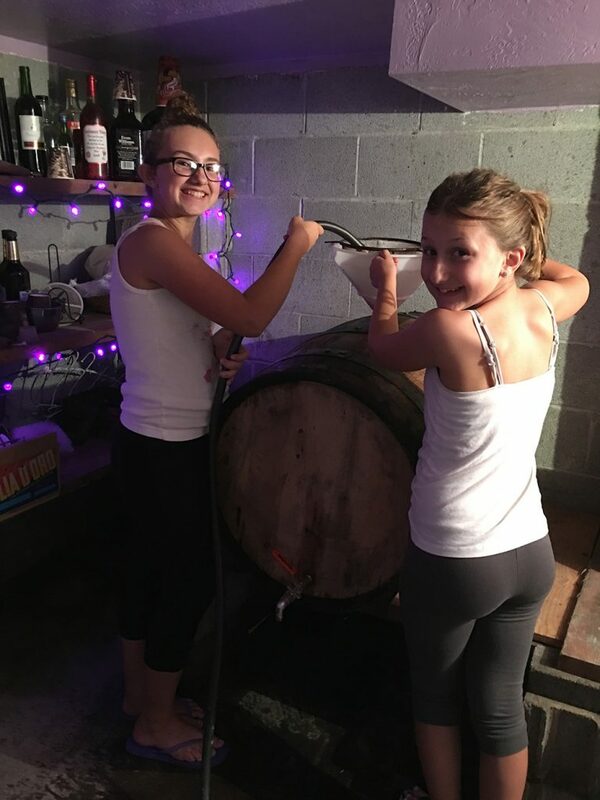 Two members of the Mancini family help siphon grape juice into a barrel for aging. Courtesy of the Mancini family. 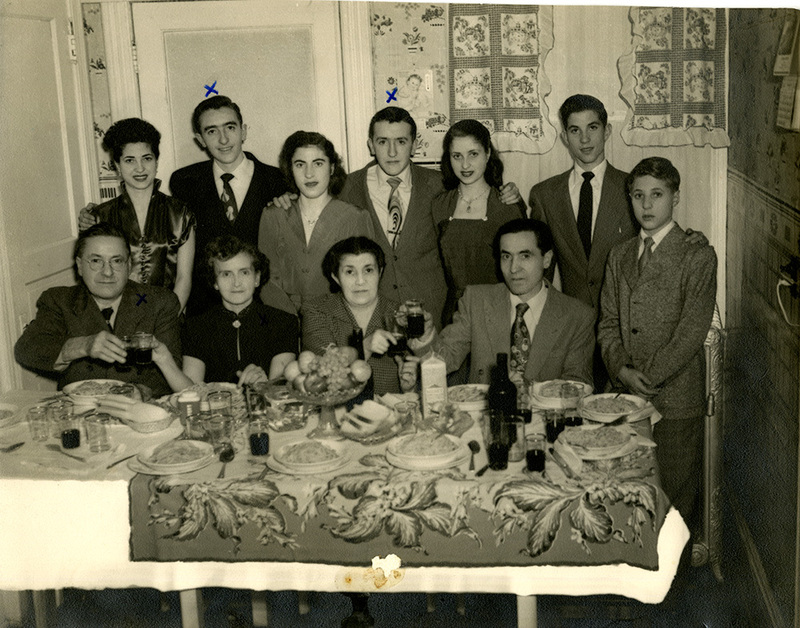 The D’Andrea family toasts before dinner, 1947. Joseph D’Andrea Photographs, MSS 1113, Detre Library & Archives at the History Center. Home winemaking, as well as other craft brewing and distilling, is enjoying a moment in the spotlight thanks to Americans’ newfound appreciation for fermented foods. Wine in general was once foreign to our palettes. (Remember, Thomas Jefferson was in the minority as a daily wine drinker during his era.) At one time in American history, wine was viewed with bias due to its association with Italian immigrants. According to author John F. Mariani in his book How Italian Food Conquered the World, Americans referred to inexpensive red wine as “dago red,” a slang term stemming from an Italian ethnic slur, as early as 1906. Much more can be said about the tradition of home winemaking in Pittsburgh and the impact of Prohibition on the American wine industry. To learn more, consider attending In Vino Veritas: Smithsonian Conversation on Wine on Sunday, May 6, 2018 from 2 – 4 p.m. at the History Center with special guests Smithsonian Curator Paula J. Johnson and local winemaking guru Ron Casertano. Melissa E. Marinaro is the director of the Italian American Program at the Heinz History Center. great article. answered some of my questions about the process.